Submitted by dc on Friday, December 22, 2017 - 00:32. The monolithic parasite known as the IRS, latched onto the jugular of the American people, needs to be ripped off and thrown into the fire. The President did an amazing job of getting the Marxist GOP to get something passed that will provide some relief, but this bill highlights how anti-American and anti-freedom the Republicans have become. A flat tax would be better than what we have now, but real tax reform requires the elimination of the Internal Revenue Service and a repeal of the Sixteenth Amendment. The FairTax, a plan I've been following and promoting for a long time, accomplishes this. Unfortunately it's a pipe dream, especially with a Marxist GOP majority. President Trump is not the problem with this bill. I have zero doubt that he wanted much more. He wanted to get some relief to the people and get a win under his belt, so in that sense I'm happy. He got these stubborn Marxists together to at least get something done against their will. 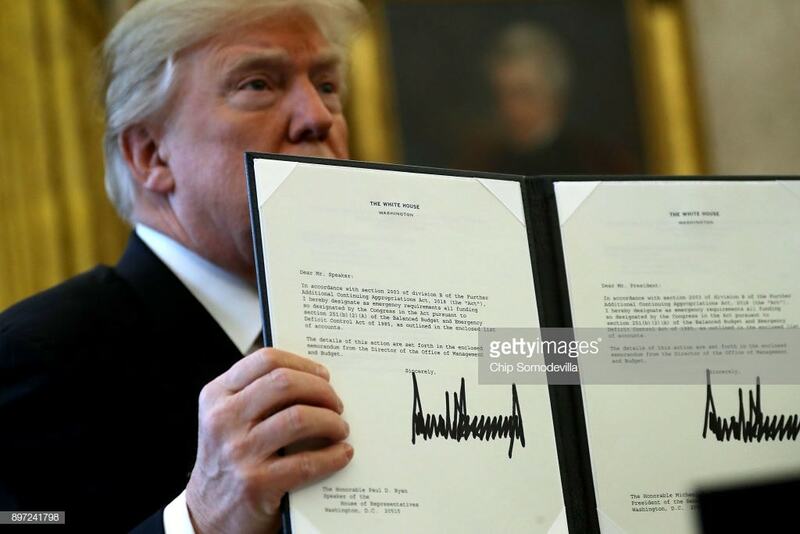 As minuscule as the cuts are in this bill, the President has impressed me yet again and this bill is a cherry on top of an impressive array of first year pro-business and pro-American accomplishments. However, the Tax Cuts and Jobs Act 2018 headed to the President's desk is slightly better than what we have now. I haven't read the legislation, but I plan to absorb more data points over the Christmas break. I've been told I'm out of touch and a few hundred dollars for a family is nothing to sneeze at, so I'll concede it may be better than it appears to me at first glance. I personally can't understand how a father with children put his family in a position where a few hundred bucks makes a difference, but that's an article for another day. I haven't dug into the details with my CPA as of yet, but I have read the highlights like everyone else and there are indeed a few good things. The legislation opens up drilling in ANWR. I can't overstate how big of a deal this is. President Trump is pulling the rug from under OPEC and allowing the United States to become more energy independent where oil prices will be determined more by the free market. This will bring down the price of oil, thereby reducing prices for goods and services overall. Everything you're looking at right this moment, from your laptop, phone, chair, or whatever requires oil and gas from the raw materials all the way through the supply chain. Back in 2008 even Senator Schumer cornered himself into confirming an increased supply would bring down the price. There's a reason why Marxists avoid getting into the details of a topic out in the open. They end up looking stupid every single time. Trump has a surprising response to speculation that the turmoil in Egypt and other countries in the Middle East could push oil prices to as high as $200 a barrel. “It also could go the other way. Frankly, the Middle East is a tinderbox. It’s going to explode. OPEC will probably be destroyed if it explodes, and oil prices could go the other way. I understand economics. You break up what would normally be an illegal monopoly, OPEC, and break it up very strongly. The Middle East is exploding, and I’m saying that could have a positive impact on oil prices." Trump has especially harsh words for OPEC and its grip on oil prices." “I think it’s unfair. I think it’s illegal,” he declares. “If you have a store and I have a store and we collude and set prices, we go to jail." “Here you have 12 men, in this case all men, they sit around a table and they set the price of oil." This is someone who gets it and understands our dominate position in the world. The ACA scam insurance mandate is killed. You will not be forced to pay insurance companies at the point of a gun any longer. This is a very good thing and is another heavy chain removed from our necks. The death tax exemption doubles but reverts back in 2025, providing some estate relief for the next few years. Individual tax rates go down, but not far enough. Capital gains rate stays the same, which drives me absolutely crazy. Why this was not reduced is beyond my comprehension and enrages my contempt for these people even more. The corporate tax rate drops to 21%, but it should be 0%. This bill gets me very upset at the Marxist GOP. I watched the conference in the lawn and I was seething red watching the Marxists talk like they parted the Red Sea. They let us keep a few more crumbs of our own bread while they live like kings with our money. I can't wait until they're flushed out during this congressional purge and replaced with actual representatives with some respect for our property and liberty. We need to cut spending, plain and simple. The President apparently has some plans for this, starting with the first ever Department of Defense audit. That alone is huge. The President has had an amazing year and accomplished a lot, and I have no doubt more departments will be audited and spending cuts will follow. This Christmas vibe feels a lot different to me. People seem happier and in a better mood. I even see it in the Christmas lights in yards. Maybe it's my imagination, but people just seem happier and relieved that Obama is gone, Clinton was not elected, and we have a pro-American in the Oval Office. This tax cut bill should put people in a better mood as it will indeed steal less from their paychecks.